HonestReporting called on CTV National News to “issue an on-air corrective to remedy the erroneous and misleading statement it broadcast” that Israel destroyed a Gaza cultural center, when in fact the IAF conducted a strike against Hamas’ headquarters. HonestReporting Canada (HRC) filed a complaint with the Canadian Broadcast Standards Council (CBSC) on Friday after CTV National News aired a report which incorrectly claimed that Israel destroyed a Gaza cultural center, when in fact Israel’s Air Force (IAF) conducted a strike against Hamas headquarters used for military and terror purposes. 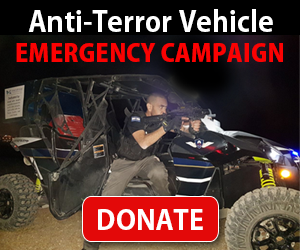 The facts are that Israel’s citizens in the south experienced a nightmarish evening on Wednesday and on Thursday when Hamas terrorists fired over 180 rockets at them, repeatedly setting off Code Red alerts that sent them running for cover. The Iron Dome defense system intercepted 30 rockets, while several of the explosive projectiles fell inside Israeli towns, causing injuries, some of them serious, and extensive damage. The IAF responded by attacking over 150 Hamas terror targets throughout the Strip, including a cement factory used by Hamas to build terror tunnels, a maritime terror tunnel shaft, a weapons manufacturing and storage facility, and several terror sites in military compounds, as well as the five-story Said al-Mishal Cultural Center in Shati, which has served as the headquarters for Hamas’ internal security forces. Hamas’s interior security unit is responsible for all security operations carried out inside Gaza and is considered to be an executive branch of Hamas’s political leadership. A significant part of the unit’s members are also Hamas terrorists, the IDF stated. Israel is repeatedly faced with biased reporting by the international media and is often forced to fight for the truth.